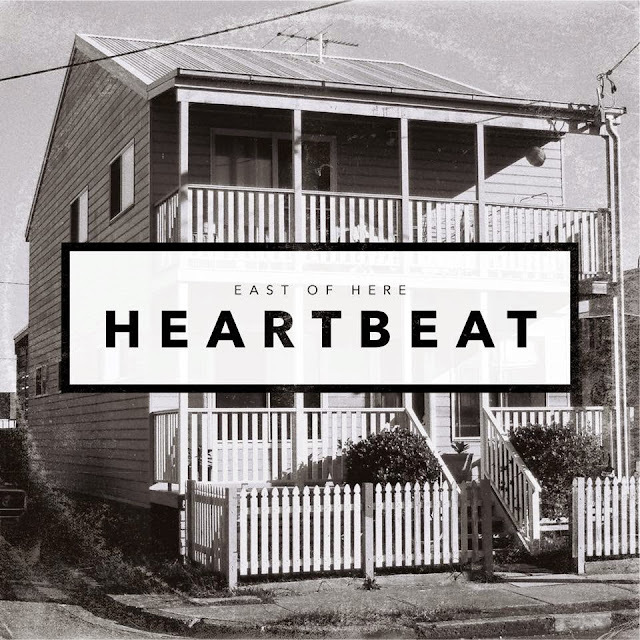 In a floated haze of otherworldly greatness, Australia's East of Here return with their second single, Heartbeat. Picking up where their debut left off, Joel Spiteri and Mike Holm once more work their magic in to a vastly opaque backdrop of spaciously plucked guitars and scattered percussion to maximum effect. Quickly building up intrinsic layers of luscious sublimity Heartbeat readily breaks in to a resplendent offering filled with fluttering melodies and profound lyricism. Said to reflect the words of a grieving father, "contrasted by those of his remorseful and lost child who has passed away, but is trying to communicate", Heartbeat deals with matters much deeper than the surface attempting to broach the issue of Australia’s drug culture and how much of an immediate impact it can have. Take a listen below for yourselves.